Today is National Hugging Day according to the official Twitter account of the BATFA award-winning CBeebies show, Hey Duggee! Now, if there are two things that we love in my household it’s hugging and Hey Duggee. We have the DVDs, the cuddly toys, the playsets, basically anything we can find. Hey Duggee is a pre-school show which features a canine nursery school leader and his young charges, known as The Squirrel Club. In each episode, the Squirrels explore a new topic, taking part in activities so they can earn a new badge. The storylines are hilarious and great fun for all family members, young and old. Children will love the wacky characters while the grown-ups with appreciate the parodies and pastiches of other forms of media. I’m not sure who in our family enjoys it more – the kids or the parents. 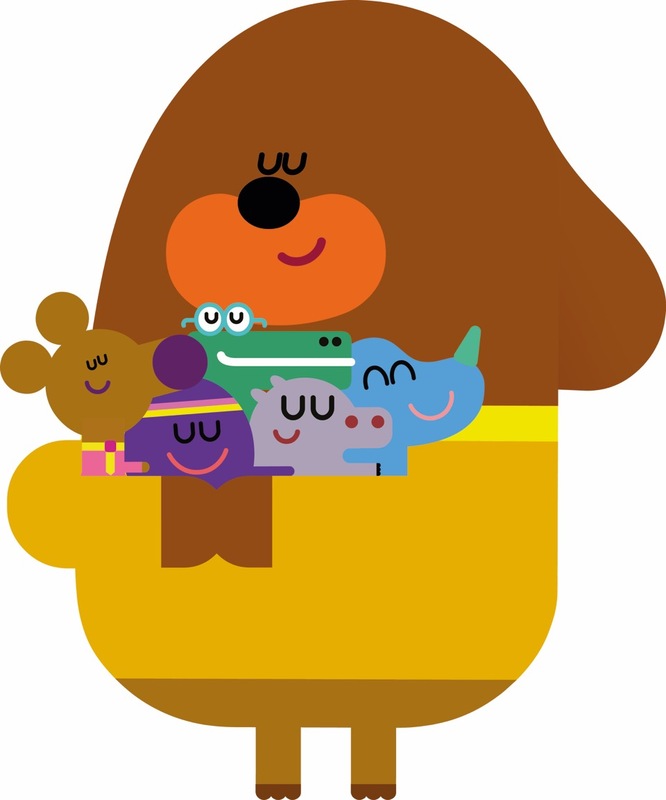 At the end of each episode when it’s time to go home, everyone has a Duggee hug. It’s a really cute moment and a great advertisement for the power of a good hug. Inspired by the huge positive response to the ‘Duggee Hug’, BBC Worldwide commissioned research on the science behind the hug. According to research, a hug lasting seven seconds or longer can work the magic of releasing the happiness hormone, oxytocin, perking us up from gloomy blues. This is certainly true in my experience and I believe strongly in the power of a hug with someone you love. We’re a very affectionate family and we spend a good portion of our time showing our affections for each other in the form of a hug. Both of my girls have created their own unique brand of hug. Miss Mess is responsible for our bedtime/goodbye routine which goes “hug, squeeze, kiss, nose kiss, bear hug” which almost all of our family members now do when saying goodbye to the girls. Mini Mess has now invented her own special hug – the “Huggle, Buggle, Snuggle”. I often catch myself saying I’m too busy to play with the girls or do activities with them, but I always try to ensure I make time for hugs. I love nothing more than lazy weekend-mornings where we can all snuggle in bed for family cuddles. I believe that this kind of physical affection is important to build strong relationships in families. Thank you very much to the show Hey Duggee for inspiring this post and sending me the very interesting information on the science of hugging. If you want to watch the show, it’s on CBeebies every morning at 8.15am. It’s a key party of our pre-school morning routine. Let me know if you love Hey Duggee or if you have any special hugging rituals in the comments below. This entry was posted in Lifestyle and tagged children's tv, duggee hug, family, hey duggee, hug, love.